It’s safe to say that director Marc Webb has a fascination with The Graduate. The final scene where Ben and Elaine ride off together on a bus played a crucial role in (500) Days of Summer, effectively demonstrating why our two main characters aren’t right for each other. 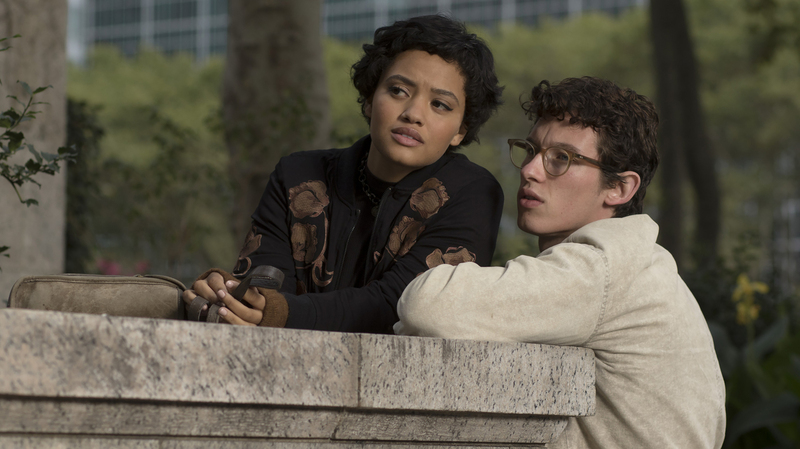 With The Only Living Boy in New York, Webb borrows a few pages from Mike Nichols’ 1967 classic once again. Both center on a young man struggling to figure out what to do with his life. Along the way, he enters an affair with an older woman while also juggling a relationship with a girl his own age. Unlike Webb’s previous work, however, this film lacks any extra ingredients to distinguish itself. So rather than paying homage to The Graduate, it just feels like the poor man’s version. Callum Turner stars as Thomas, a pretentious college graduate that thinks he knows everything, but actually knows nothing. In other words, he’s basically every millennial. Thomas is in a complicated relationship with a girl named Mimi (Kiersey Clemons). Matters only get more complicated when Thomas discovers that his father (Pierce Brosnan) is sleeping with a mystery lady named Johanna (Kate Beckinsale). Thomas decides not to tell his mother (Cynthia Nixon) because she’s mentally unstable, although we never actually see her do anything that troubling. Thus, Thomas decides to track down Johanna and the two enter a romance relationship… kind of out of nowhere. This sums up the problem with The Only Living Boy in New York. First, it’s constantly telling rather than showing, requiring a drunken Jeff Bridges to narrate everything for us. Secondly, the characters all lack chemistry. This is especially surprising seeing how Webb is a master of anti-romantic comedy. In addition to (500) Days of Summer, he also directed the pilot for Crazy Ex-Girlfriend. Plus, the love story was the best part of his Amazing Spider-Man films. Even when a relationship isn’t meant to be, Webb does a wonderful job at creating a spark between two characters. That spark is nowhere to be found here. We don’t believe the relationship between Thomas and Johanna or the relationship between Thomas and Mimi. Part of that’s because of the underdeveloped screenplay by Allan Loeb, who also penned The Space Between Us and Collateral Beauty. It doesn’t help that Callum Turner lacks any acting charisma whatsoever. Most of the time, he seems to be sleepwalking through this movie, wearing the same blank expression for nearly 90 minutes. Maybe the character of Thomas would have possessed some charm with a young Joseph Gordon-Levitt in the role. Of course even he likely couldn’t salvage this film’s lack of originality. The only plot point that’s remotely interesting in an endgame twist that reveals Thomas’ connection to another character. In the long run, though, it doesn’t really add much or bring matters full circle. As the credits roll, you’re left wondering what the filmmakers were trying to say here. Walking out of the theater, one running gag that’s bound to standout is where Thomas’ father tells him that his work is serviceable at best. Unfortunately, The Only Living Boy in New York isn’t even that. This entry was posted in Reviews and tagged Drama on August 18, 2017 by Nick Spake.